Happy first of December everyone! But more importantly, happy first day of Blogmas! This is my first year of Blogmas, and I couldn’t be more excited to share all of my festive posts with you all! So to start off my Blogmas series, I wanted to share a little wishlist of products that I am seriously tempted by…just have to finish the Christmas shopping first! Warning: this post may make you want to go on a splurge, and that is completely fine. One thing I really love about Christmas is when brands release their festive collections! Everything is glitter, shimmer, sparkle and is just begging to be added to your beauty collection! 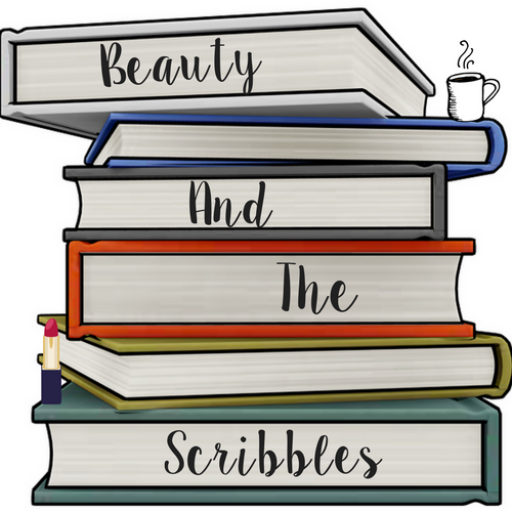 There are so many beauty products I have my eye on at the moment, especially after reading reviews from other bloggers! I have been lusting after Urban Decay’s latest mascara for a couple of months now, just look at that rainbow packaging! I’d heard mixed reviews after it was first released, so didn’t want to invest straight away, plus I have quite a few mascaras that I need to use up first (who am I? Just buy the goddamn mascara). Packaging aside, I really like the look of the brush on this mascara, I have used small plastic bristle brushes in the past and think that they work better on my lashes. How gorgeous are the shades in this Huda Beauty Obsessions Palette- Smoky, I am in love. This just screams party season to me! I have never tried Huda’s eyeshadows before, but have read some really great reviews, so now I need to see what all the fuss is about. It was super hard to pick as all of the Huda Beauty Obsessions Palettes look beautiful, but I feel like this one would work the best for me. So I realise that I’m starting to look like a bit of a glitter obsessive, but hey, it’s nearly Christmas! I spotted Stila’s Glitter and Glow Liquid Eyeshadows on Instagram, an MUA had uploaded a post and had used this product, and it looks like it certainly brings the party. From the picture the shade used looked highly pigmented, and looking at other reviews it is very simple to apply. I may have to invest in one (who am I kidding?) or two before all the Christmas parties so I have it ready! Let’s be honest, I could put the whole Fenty Beauty range on this wishlist because she definitely was not playing around with these products. What caught my attention were the rave reviews of her highlighters (I’m looking at you Trophy Wife). After doing some research it turns out that the Killawatt Freestyle Highlighter in Lightening Dust/Fire Crystal is best for fairer skin tones. 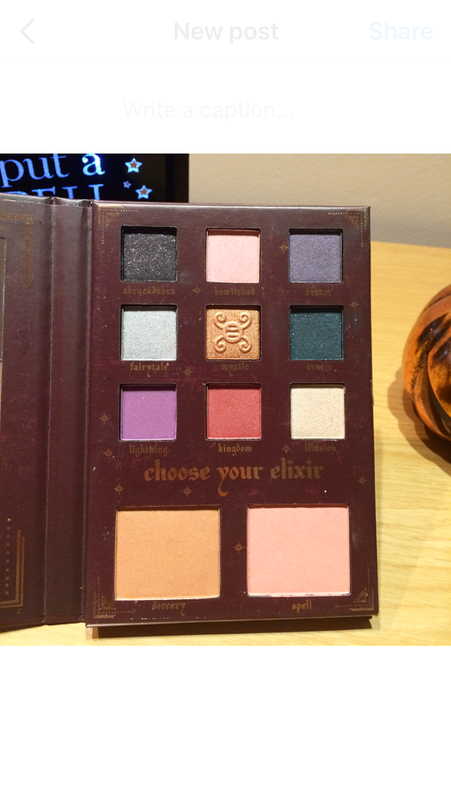 The colours are beautiful in this dual palette, and after swatching in a store on my hand, they certainly do the job. MAC’s Snowball mini kits are just adorable aren’t they? I really love the shades in the ‘warm’ kit, which are, left to right: Just Beaming, Tenor Voice, and Candy Cane. Again, it is a difficult choice as the other lip kits are equally as tempting, but I think the shades in this one will suit me best! As if the lipsticks weren’t enough it also comes with a mini statement sequin bag, complete with a mirrored ball tassel, perfect for the party season! I love the brand Philosophy, their body washes and skincare always smell so good and feel lovely. What makes these bottles even better is that they are not only a body wash, but a shampoo and bubble bath also! Perfect for popping in your overnight bags, you’ve got everything in one. I also love anything mint scented, it is the most refreshing scent, so this would be perfect for me. I’m sure I could go on forever adding to this list, but you would be here for hours and would most likely end up clearing my bank account, so it’s probably best I end it here! What’s on your Christmas list this year? Have you tried any of these products, what did you think? So I am still relatively new to the Primark make-up world, but since trying their Peach Blush and Highlight palette, I have been super impressed and curious for more. So earlier in the week I went back to have another look at what other beauty gems they had, and they did not disappoint. I could have happily scooped up both of their new lip scrubs, their dupes of the Urban Decay Naked palettes, or some of the lip kits, but something else caught my attention. 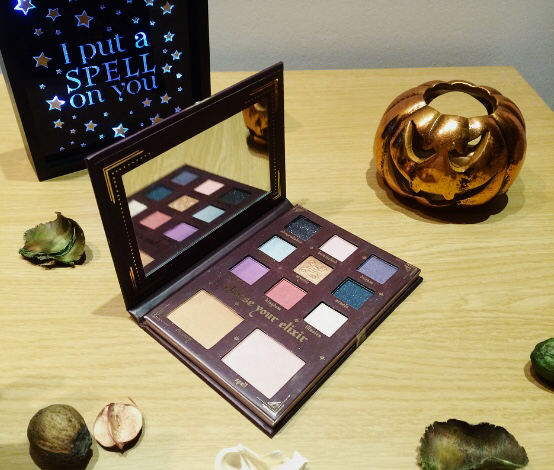 Sat with Primark’s Halloween range was the PS…Spell on You: Love Potion Eye & Cheek palette and I just couldn’t leave it there could I? 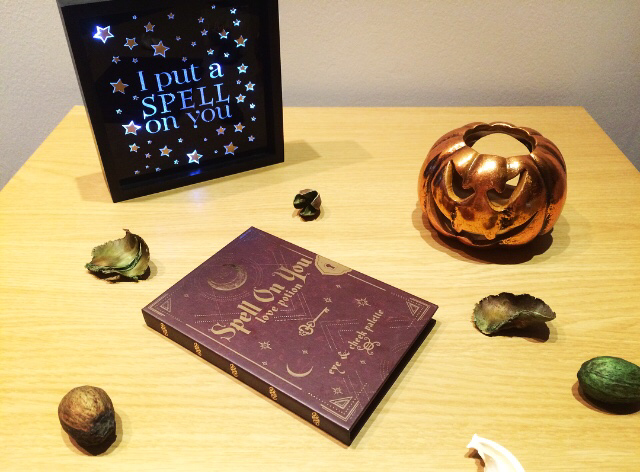 I absolutely LOVE the packaging of this product; I mean it’s designed to look like a book of spells, what is not to love? As with other Primark palettes it has a magnetic fastening, and once opened, reveals nine eye shadows, a blush, and a highlighter set in metal pans. All of the products inside are of course influenced in name by the world of magic. So let’s start with the eye shadows. In the palette, starting at the top is ‘Abracadabra’, a very dark, glittery purple shade (it looks almost black on my swatches!). 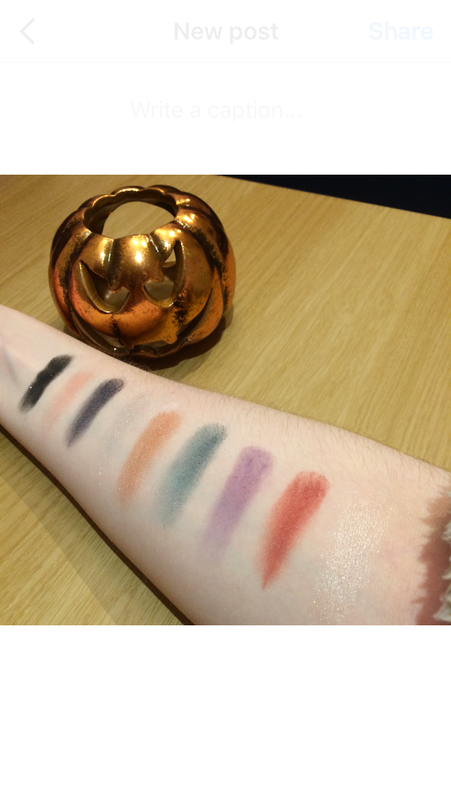 As you can see it is heavily pigmented, and would be perfect for Halloween make-up or even a night out. Secondly, we have ‘Bewitched’ a pale rose matte shade; this took a few attempts to make it pigmented enough to swatch, but once layered it looks beautiful with an added shimmer. Next up we have ‘Dream’, a deep purple matte shade. On the second row we start off with ‘Fairytale’, another one of the lighter shimmer shades of the palette, which I found again needed a couple of attempts to make it visible on my skin. 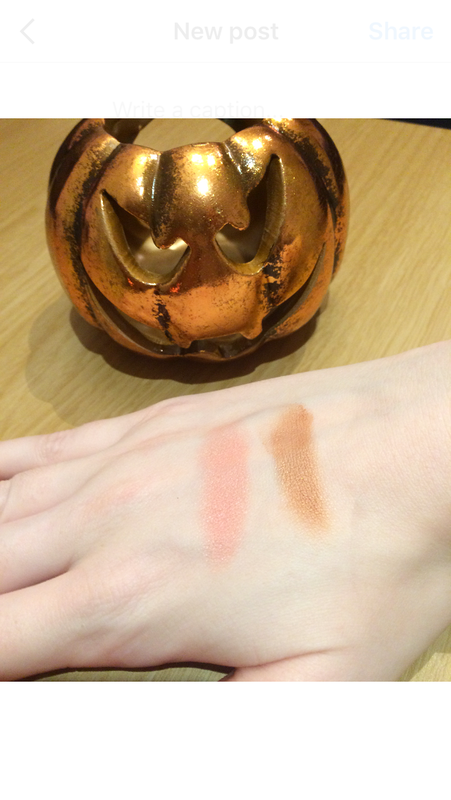 Next is ‘Mystic’, a glittery copper shade which is well pigmented, and could double up as a highlighter. Then Oracle, which I was convinced was going to be my favourite shade, sadly it wasn’t to be. It is a beautiful shade, a glittery blue, I had just hoped the colour would have come up as strongly as ‘Abracadabra’ did, but unfortunately it just didn’t do it for me. Finally, on the third row we have ‘Lightning’, the lightest purple shade in the palette; it is matte with no shimmer. Next, we have ‘Kingdom’ and this colour, along with ‘Abracadabra’ had the best pigment for me, it went on like a dream and strong pigment from the first application. Lastly, we have ‘Illusion’, this shade pleasantly surprised me. Again, it is quite a pale shade, but actually once applied, shows up pretty well. This shade would be perfect for a daytime look, it’s soft but has a lovely shimmer. Once you’ve had a taste of magic, the palette then invites you to ‘choose your elixir’, which is the blush and highlighter of the palette. The highlighter ‘Sorcery’ is a bronze/coppery tone, not dissimilar to the eye shadow shade ‘Mystic’, minus the glitter. Then we have ‘Spell’ the blush, a soft, rose pink, which once applied turns into a lovely pearly pink shade. If like me, you’re on the pale side and are worried ‘Sorcery’ may be too dark for you, don’t be! Once shaded out it looks lovely and blends nicely. ‘Spell’ is going to be my go-to blush once I have finished my Peach palette shades! Overall, this palette is such good value at £6 (Off you go now…). The palette has a great range of colours which are well pigmented, aside from the paler shades which will need to be built upon. I personally don’t use purple eye shadow, but may try to blend it in with other colours to see how it works. However, I think the paler shades in this palette could also make beautiful highlighters if you wanted to double up their use! This quirky palette would make a fab stocking filler or even just a hump-day treat for you. It’s certainly not one to be missed! Primark have always sold make up, but is it just me or have they really upped their game in the past couple of months? My local Primark’s beauty section seems to be bigger and better than ever, however I will admit, up until a couple of weeks ago, I had never purchased anything from Primark’s make-up range. During a visit to the Liverpool store, I spotted a lovely display of peach coloured products and HAD to investigate. I really like the packaging on this product, it’s minimal and cute, and makes the product look more expensive than it actually is (£4 by the way…I’ll wait while you nip out). The cover is magnetic as with many of Primark’s other palettes, and opens to reveal a highlighter and two shades of blush set in metal pans. The shades in this palette are beautiful, and my particular favourite is the highlighter called ‘Peach Twist’, which is a shimmering pale gold tone (My swatch doesn’t do it justice!). The two blushes featured in the palette are ‘Peachin’, which is a deeper coral-pink tone, whilst ‘Sweet Peach’ is a softer, more romantic pink shade. As I am quite fair I wasn’t sure if all of the colours would suit my skin tone, but I was surprised by how flattering they were. The packaging also invites you to smell the shades as they are ‘Soooo Peachy’, and they certainly are. 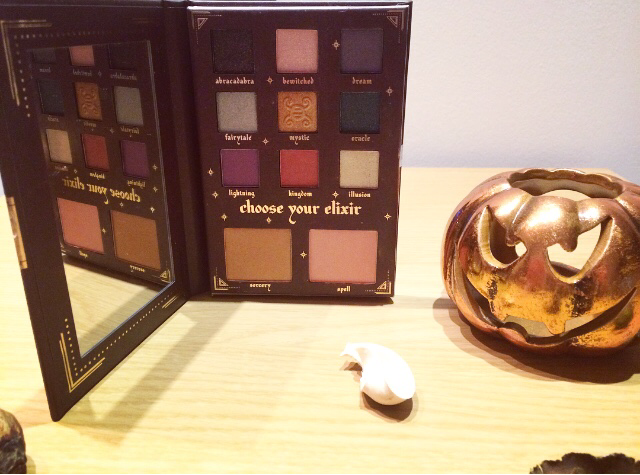 As soon as you open the palette you are greeted by a light, sweet, peach scent, nothing too over powering. Peach is a big trend in the beauty world right now – and Primark have obviously taken inspiration from Too Faced and their successful peach range, but for a fraction of the price. The Too Faced Sweet Peach Palette comes in at around £32. I was really impressed with this palette; it has made me want to try the other PS…Peachy Keen products (I’ve got my eye on you, eye shadow palette. No pun intended). This range is great if you are on a budget, or if you’re a little bit of a make-up hoarder like me and have to rein it in sometimes! All jokes aside, this palette would make a cute stocking filler, Secret Santa gift or even just a little treat for you! Have you tried anything from the PS…Peachy-Keen Range? And it’s fair to say, I’m super impressed with the results. I’m not saying that my spots have disappeared completely by any means, but that something is finally starting to make a difference. So much so, that I went out completely make up free the other day, and for me, that was a pretty big deal. This is the face wash aspect of the routine. It’s a clear gel which lathers and foams once mixed with water. The aim is to remove any excess oil from the skins surface, allowing the rest of the products in the routine to work their magic. I like this product because after each use my skin feels clean, and plus it’s a face wash my skin actually gets along with! Bonus points for this product because it can also be used on the body. You know those days where make-up just doesn’t want to come off? This product is all for helping you out with that. After using the cleansing gel, I follow up with the toner, which I apply to cotton wool pads and use one for each section of my face. This ensures that any make-up residue is removed and my skin is fully prepped to heal at its best. Environ claim that this product is made to enhance the workings of the other products by supporting the skins natural PH, and shedding of dead skin cells. Environ describe this product as ‘a special cocktail of high antioxidant vitamins’, which just makes me want to slather it all over my face so it can give me goddess skin (a girl can dream right?). I like to think of this as the moisturiser part of the routine, which I apply morning and night after washing my face. The Antioxidant Gel is orange, which on first appearances looks like it’s going to be sticky, but it goes on like a dream. I feel like I’m giving my skin a treat with this product, with it having so much goodness in it, I can’t help but love it. This little tubes aim is skin renewal, containing fruit acids to help heal any damage to the skin, and delicate exfoliation for a clear complexion. Environ recommend this product for all skin types, as it claims to even skin texture, and works with moisturises containing Vitamin A to enhance the anti-aging effects of the vitamin. I currently use this product three times a week, Monday, Wednesday, and Friday, and at the very end of my skin routine before bed. It is a gentle product and after using it for a little while now, I notice a difference from using it the night before. Initially when I read the words ‘hydroxy acids’, I thought, surely I cannot put such a strong product on my face?! But it is extremely gentle and aims to reach below the skins surface. When I first started using these products my skin flared up, because the range is designed to bring any impurities to the surface before the skin can start to heal. The products are a little pricey when totalled up, but once I add up the amount I (and others) have spent on my skin over the past twelve years, it doesn’t seem too bad. I’ve finally found something that I believe is working for me, and I can’t tell you what I relief that is! What products do you guys use for your skin problems? Have you ever tried any Environ products, if so what did you think? I’ve always been a fan of the Bed Head brand, from the product quality to how fun the packaging is. It is a firm favourite of mine. I was introduced to Motor Mouth through my hair dresser; she applies it every time after my hair has been washed, and boy, does it smell good. The scent to me is very tropical and I like how the scent stays on your hair for a couple of days afterwards. I usually use 2 pumps of the product and run it through damp hair with my fingers. The hair cream is a shimmery yellow and goes through the hair seamlessly. It’s great if you want to add a little volume to your hair, or need to tame any frizziness, as it controls it without weighing down the hair or making it appear greasy. I will be repurchasing this product, although I don’t think I’ll have to any time soon as a little goes a long way with Motor Mouth. Bonus points, it feels a lot more luxurious than its price tag! Now, anyone who knows me will know that I’m usually a full time ghost i.e. I don’t tan, unless I’m going out or it’s an occasion. It’s not that I dislike fake tan; I’m just very lazy when it comes down to it. So I think I have found the ideal lazy girl tanning solution…tanning wipes! I was curious when someone recommended these to me; could they really be as good as a mitt and a bottle? They are actually pretty good! They do develop quite quickly, and left me with a natural looking glow. I have to say, I was left impressed. I had read good reviews before purchasing, and also learnt the tip of wearing gloves whilst using them to avoid waking up with orange hands! I found this product easy to use and actually managed to not miss any parts. You can find these little gems at Home Bargains, they are cheap and cheerful. If you checked out my last post about my skin, you will know that I have had to readjust my whole skin routine. I am currently using products from the Environ brand to see if it will budge the remainder of my acne. This is my third week on the skincare regime, and I have to say it’s getting better. This is the moisturiser that features in my skincare routine. I like this product so far; it’s lightweight and non-greasy and only takes a minute to sink into the skin. It contains key ingredients such as antiseptic tea tree oil, to help eliminate bacteria on the skin, antioxidants vitamin C and E, and B5 to help nourish and calm the irritated skin. Whilst this product is good if you suffer from oily-acne prone skin, it says it can be used by all skin types. This is my third week using the product, and I have to say it is slowly but surely calming the redness caused by the acne. I have promised to post more on these products when I have been on them for a suitable length of time. I have lusted after the Too Faced Melted liquid lipsticks for a while now, but always kinda forgot about them when it got to pay day. I was on a quick reckie of my local TK MAXX store, and stumbled across Debutante for just £5.99! I couldn’t quite believe it, and had that mini panic you sometimes get at the till where you think this can’t possibly be the price? I was a little sceptical with how metallic the product was going to be, but I have found Debutante to be quite subtle in its metallic look. The formula is creamy with a good pigment, and the Debutante shade has very good staying power. I usually suffer with dry lips which I do find the formula can cling to, so I will occasionally pop a lip balm over it to avoid it sinking into cracks. I’m finally starting to make my way through my collection of bath bombs, and finally got to try one of these bath melts from Bomb Cosmetics. Firstly, how cute are the products? If you look on their website they do so many different designs, from cupcakes to bath bombs with little individual designs on (Finding Nemo, a Rocket flying off…the list is endless!). I received my box as a birthday present, and it contains Laguna Bay Mallow, Oopsy Daisy Mallow, Lemon Express Mallow, and a really cute Viennese Swirl style one which I can’t find on the website anymore L But there are similar ones. These are lovely to pop in the bath if you feel like having a little pamper. They smell yummy but subtle, and are very reasonably priced. I can’t promise you won’t want everything on the website though! I’m guessing everyone is thinking pretty much the same thing as me right now, which is how are we in May already? Although another month gone, means more beauty favourites. These were my go-to’s throughout April, so enjoy! One thing I love is a good make-up day. You know those days where it stays on, there’s no smudging, and you just think that you’ve got it all together? Now these days are pretty rare for me, and come the end of a work shift you could mistake me for a very shiny faced panda. However, lo and behold someone introduced me to Urban Decay’s De-slick Make-up Setting Spray, and I’m afraid I’m not looking back. I’m a really big fan of this setting spray, mostly because unlike others I have used in the past, it doesn’t change the look of my make-up and simply just sets it in place. It’s also a very light spray so it dries quickly on the skin. The De-slick Setting Spray claims to be ‘your most powerful oil-control ally’, and aims to deflect any shininess and provide the skin with a matte finish. Being a girl with normal-oily skin, I’m a big fan of this spray. I’ve found that I don’t need to touch up my make up as much because the sprays got it covered. I must admit I was a little sceptical at first, as it seems there are about a thousand different things for your face in the beauty world right now, but this one’s a must and here to stay for me! Okay so my skin has taken a little dip recently, and I may have completely freaked out (as in the why is this still happening when I’m 23 for godsake) kind of freak out. I have pretty much tried everything in the book for skin, so I thought what is one more product? This product was also recommended to me, and I couldn’t wait to try it out. Now the old me would have been all ‘YOU CAN’T PUT OIL ON THIS OILY FACE’, but you must definitely can and should. Skin produces more oil when the skin is feeling dehydrated and I have learnt the error of my ways. I apply this oil before bed, and use 5 drops for each section of my face. It smells luxurious and sits on the skin once applied. It makes my skin feel lovely and soft, and is helping with my little flare up slowly but surely. It’s a little pricey but worth the money if you’re getting fed up of your skin blues too. Previously I’d posted about my love for Estee Lauders Double Wear Foundation, I thought it was amazing coverage and didn’t think I needed anything more from a foundation, right? Wrong. After using Double Wear for 4+ months, I noticed changes in my skin and they weren’t good. My skin started to dry out pretty badly, yet the acne was coming in thick and fast, I was completely stuck. Not only that, but when I applied my make-up, the slightest touch on my face would create a crack in the foundation. This meant I was frantically caking more on to try and cover it (it didn’t work) or having to take all of my foundation off and re-apply. As much as I love Double Wear, it’s not for me or my skin. I decided I needed a change fast and read up on some good brands and foundations online. I decided to go for Bobbi Brown, as it’s a brand I have loved in the past and is top quality. Since using the Bobbi Brown foundation I have noticed a dramatic change in my skin. There is no dryness to be seen, I can’t feel the foundation on my face, meaning my skin can breathe, and I don’t need to re-apply. I would definitely recommend this product, as I still get the coverage I need from this foundation, but my skin also gets the break it needs. This has fast become one of my favourite shades of lipstick with its rose-tawny shade. Before this I had never tried out Estee Lauder’s lipstick range, but I’m super impressed. So far I’ve found this shade to be long wearing; I can get a good 3 hours minimum out of it before I need to reapply. Unlike other lipsticks I have used, this one feels fairly hydrating with a light glossy finish. I will definitely be buying more shades from the Pure Colour Envy Sculpting lipstick range, although a little pricey at £24 each, they are top quality. So up until last year I had never heard of the Tropic brand. A family member of mine had decided to host an evening at their house, which would involve a Tropic ambassador coming and showing/letting us try out the products. It’s a fun filled evening with all the girls, full of games and once over the opportunity to order the products you have tried. Ever since that first evening I have made Tropic products a regular part of my routine (you may have already seen some products featured in previous posts!). I love the organic aspect of the brand, that they’re vegan and do not test on animals, and that the products work with your skin and body, not against it. For those of you who have never heard of Tropic, here’s a little bit of background. Tropic was founded and created by Susie Ma who had grown up developing all natural beauty recipes. Susie later appeared on The Apprentice in 2011, and impressed Lord Sugar after giving his wife some of the products to try out. Lord Sugar became a 50/50 partner, and together they have started a company which allows others to start their own businesses by being ambassadors. Willow bark and ginger extracts – Designed to kill any bad bacteria on the skin that is trying to cause breakouts. Green clay and spirulina – This combination of clay and super food is designed to regulate oil, draw out any toxins with its anti-oxidant properties, toning and tightening pores. I have yet to try out the new Clear Skin Blemish Fighting- Mask as I loved its predecessor, but it’s definitely going on my wish list! For anyone who’s seen previous posts you’ll know this product has already been featured a couple of times, but I love it! It’s so ideal for popping in your makeup bag as it contains a blush, bronzer and highlighter all in one. I really like the convenience of this product, it can take you from day to night and your make up bag isn’t over crowded –win win. I’ve used both Vintage Rose and Coral Blush palettes, but found because I’m quite pale (verging on a ghost) that the Coral Blush works better for me. All three feel lovely on the skin and have great pigmentation, and it’s probably all down to ingredients like Jojoba Seed Oil, Vitamin E, Carrot and Pomegranate Seed Oil and Vitamin C – to name a few! This is probably my favourite Tropic product so far, and I’ve already repurchased another. Over the past year I’ve really developed a thing for lip scrubs, particularly in the colder months. My mum, being a Tropic fan herself, bought me this handy little duo as a Christmas present and I couldn’t wait to try it. What made this product stand out for me is that you don’t just receive a lip scrub, but also a nourishing butter for after use. Previously I have used a scrub and then just applied my own lip balm afterwards, but this just feels that bit more indulgent. The Lip Smooth scrub and balm smell really minty and fresh, with ingredients of liquorice and mint extracts designed to smooth and plump the lips. The scrub is blended with Organic Sugar, whilst the balm contains Mango Butter, Vitamin E, and Pomegranate Sterols, targeting dry lips with intense hydration. I cannot recommend this duo more if you suffer with dry lips or just fancy a little pamper treat!